A gunman opened fire in a Chattanooga apartment early Wednesday, killing a 20-year-old woman and critically wounding a 1-year-old girl. The attack, which Police Chief Fred Fletcher denounced as "a heinous act of violence against a child, a family and our community," caps a violent week for the city. During the first seven days of 2015, three people have been killed and seven wounded by gunfire in seven shootings across the city. The latest victim, Talitha Bowman, 20, was killed when the shooter opened fire around 1 a.m. Wednesday in the College Hill Courts public housing complex. 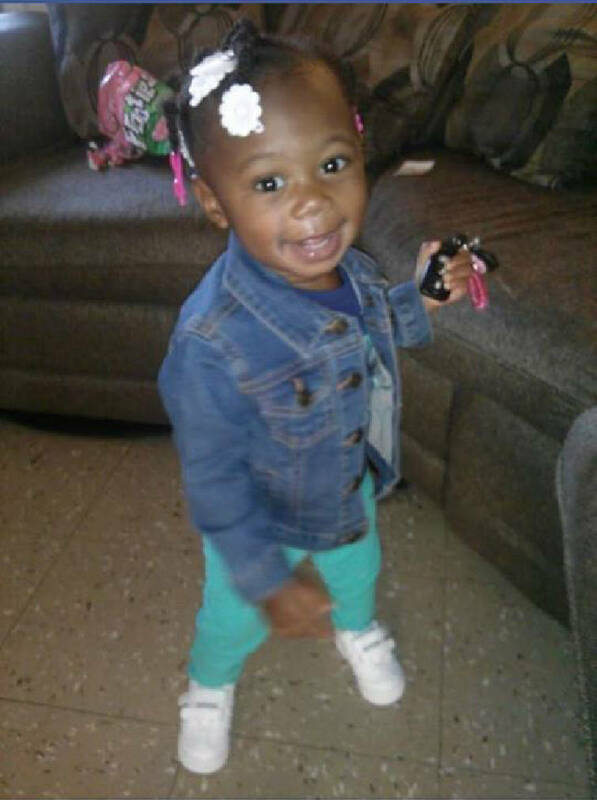 That same shooting sent Zoey Duncan, 1, into emergency surgery at a local hospital, where she was in stable condition. Two police officers rushed her to the hospital in a patrol car moments after the shooting, not even waiting for an ambulance to arrive because of the severity of her wound. Family members say that if she survives, she may never walk again. Zoey's mother, 24-year-old Bianca Horton, and a man, 18-year-old Marcell Christopher, were also injured during the shooting. Fletcher vowed to bring the gunman to justice. "We are personally and organizationally outraged by the violent actions of this brutal criminal," Fletcher said at a news conference. "We are going after the individual that caused this violence with every law enforcement tool we have." Two other children were in the apartment when the shooter opened fire, but were in a different room and were unharmed, Assistant Chief Tracy Arnold said. "Apparently the shooter didn't know they were in there," he said. The two adults who survived the shooting told police that 17-year-old Cortez Sims was the man behind the gun. Sims is a known gang member with a long history of gang activity who goes by the name "AWAX," police said. Police have taken out warrants against Sims for first-degree murder, three counts of aggravated assault, reckless endangerment, unlawful possession of a firearm and unlawful possession of a firearm during the commission of a felony. The Times Free Press does not usually release the names of minors accused of crimes, but police obtained special permission to release Sims' name and photo as they search for the teenager, who was still at large on Wednesday. Fletcher said police have solid leads into Sims' whereabouts and that the department will be helped by federal agencies during the search. Someone inside the College Hill Courts apartment opened the door and let the gunman in, police said. Talitha Bowman, 20, was killed early Tuesday morning, Jan. 6, when a shooter came into an apartment in College Hill Courts and opened fire. Three other people, including a 1-year-old girl, were injured in the shooting. The motive is still being investigated, but Fletcher said there appears to be some sort of ongoing dispute and that the attack was likely connected to past violence in the city. Investigators do not believe, however, that Wednesday's fatal shooting is connected to the two men who were killed on New Year's Day, when bullets started flying just minutes after midnight. Twenty-seven people were slain in Chattanooga during 2014 -- the highest number of homicides since at least 2001, Times Free Press archives show. But the violence in this single week -- seven shootings total -- already rivals some of the most violent stretches of 2014. The shooting in College Hill Courts was one of three that happened Wednesday night. Hours earlier, 19-year-old Brian Posley Jr. was shot while walking on Fourth Avenue around 10:40 p.m. His injury was not life-threatening. And two hours after the College Hill Courts shooting, another man, Joshua Taylor, was shot while trying to break into his brother's home at 5227 Hickory Woods Lane around 3:10 a.m., police said. Back in College Hill Courts, neighbors said their corner of the public housing complex is usually quiet and that they were appalled by the shooting. Neighbor Cassandra Robinson said the gun violence simply must end. "My heart is broken right now," she said. "This little girl just had her first birthday in September. She's just starting to find out all the things she can do. But now she's laying up there [in the hospital] clinging for her life." Mourners took to social media Wednesday to remember Bowman and offer support for little Zoey. 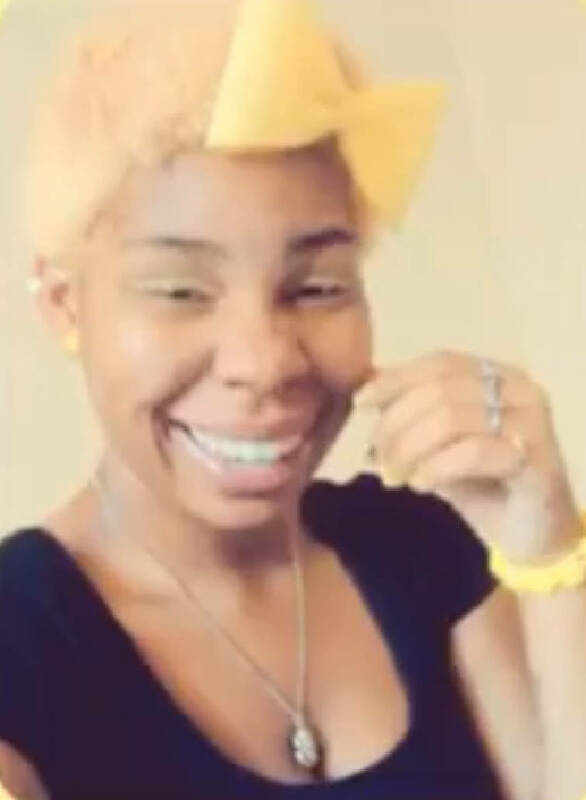 Friends described Bowman as a lighthearted woman with a beautiful smile who went by the name Smoodeyy. "This don't seem real Smoodeyy, I just can't imagine saying R.I.P to you so soon," wrote one mourner. "I wish this was a dream. Please come back. I love you." "Smoodeyy, Smoodeyy, the girl with the biggest smile," wrote another. "Rest in peace baby girl, gone but not forgotten."